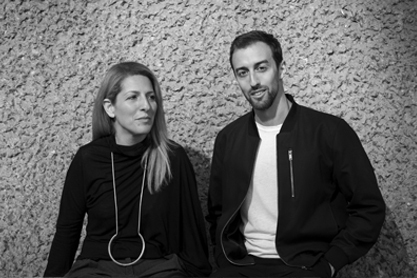 Bureau de Change is an award winning architecture practice founded by Katerina Dionysopoulou and Billy Mavropoulos. Its work is a direct product of the founders' upbringing, passions and experiences - combining the pragmatism and formality of their architectural training with a desire to bring a sense of theatre, playfulness and innovation to the design of spaces, products and environments. The result is a studio where rigorous thinking and analysis are brought to life through prototyping, testing and making. Within the last two years Bureau de Change has been shortlisted for the New London Architecture awards twice, the Architects Journal Awards 2015 and the RIBA Manser Medal 2016. The studio won Best International Retail Space - World Interior Awards 2015, Best House of the year - Sunday Times Awards 2016, Best House of the year - Harringey Awards 2016, the Silver Medal - London Design Awards 2016 and Breakthrough Act of the year - FX Awards 2016.